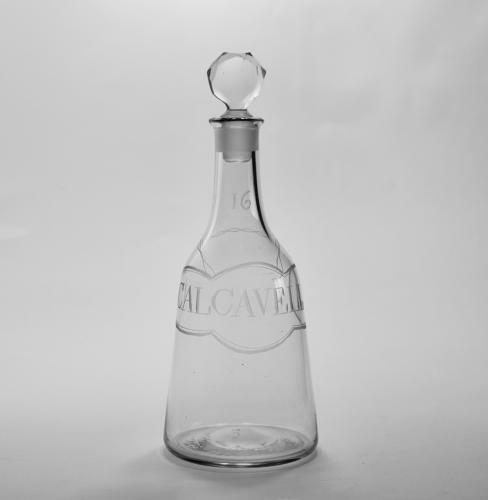 Rare mallet decanter engraved Calcavella within a a faux wine label and clipped disc stopper. The number 16 is engraved on the neck. English C1770. Note: This decanter was number 16 of a long set of decanters. Calcavella is sweet wine from Portugal so called from the district of Carcavelhos and is rarely seen on decanters.